Back-to-School time is crazy in our house! There just does not seem like there is enough time to get homework done, dinner on the table and get the kids to bed at a reasonable hour. Did I mention that my daughter’s school started back in July? So we’ve been in the thick of things for almost a month now. Add after-school activities into the mix and I am just going at Mach-10 speed until the kids are in bed. This week, she has soccer camp for 2 hours every night. With all that activity and all the work that my husband and I do, it’s hard to connect with the Mr. Most nights, one of us is usually asleep on the couch within 5 minutes after putting the kids to bed. 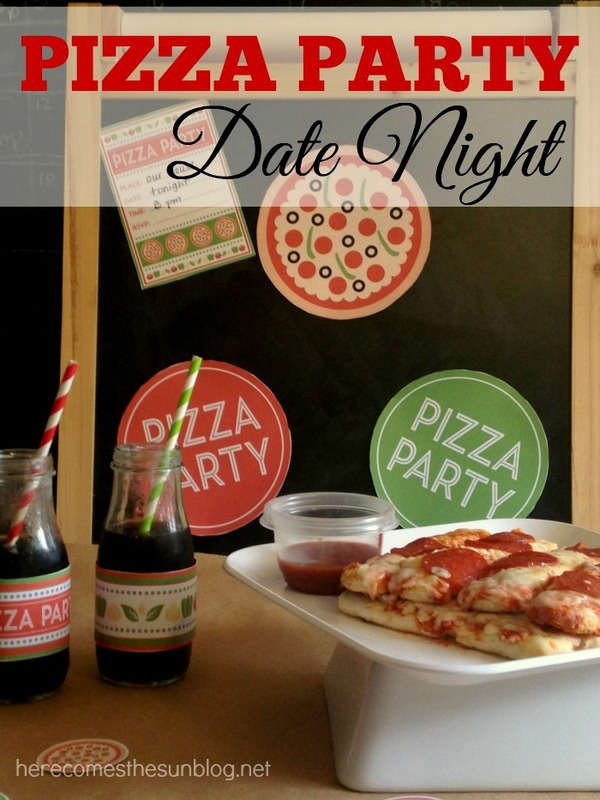 So the other night, I decided to change things up and we had a Pizza Party Date Night. Why should the kids get all the fun? Adults deserve some too. 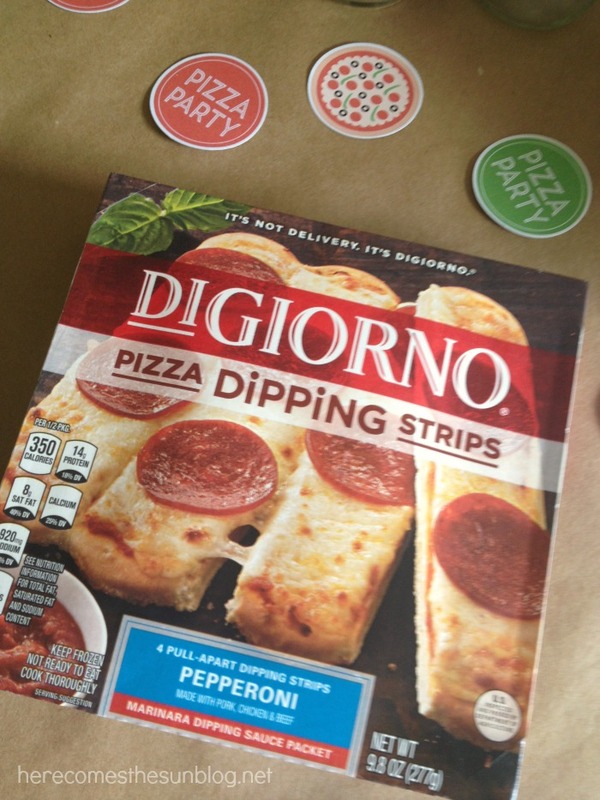 While I was at Walmart shopping for our pizza party supplies, I noticed that DiGiorno makes pizza dipping strips and knew they would be perfect for our date night. 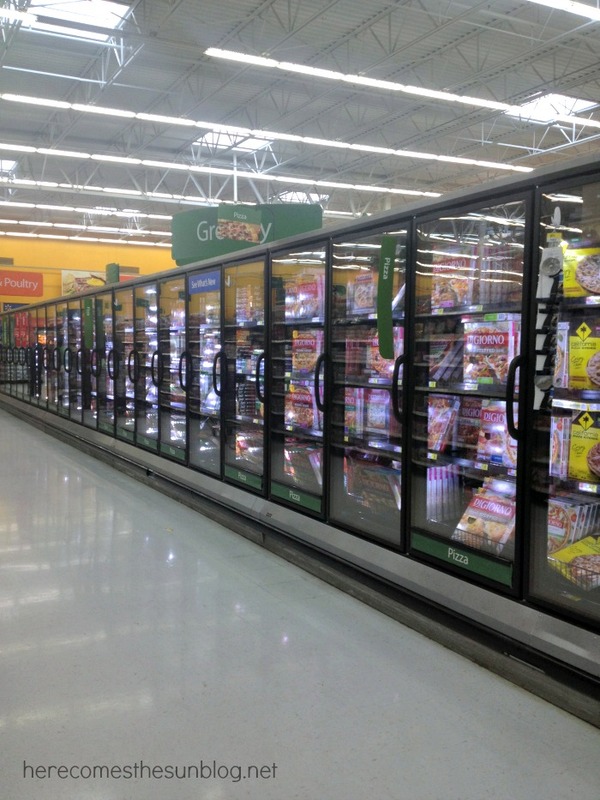 I found the Pizza Dipping Strips in the middle of the aisle, down past all the regular sized pizzas. 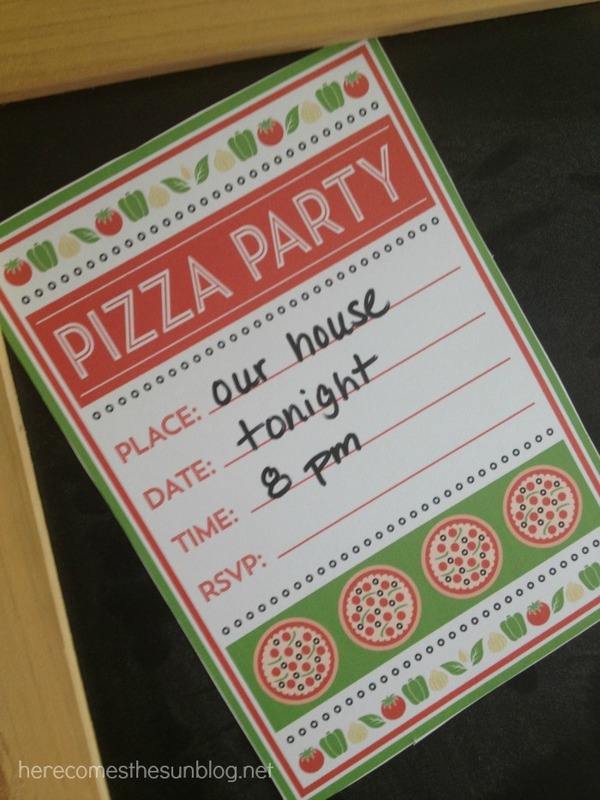 To add more pizazz to our pizza party, I used some adorable free Pizza Party printables that I found atat Catch My Party. I usually make all my printables myself, however I was crunched for time and these were just so perfect. I used the waterbottle labels, cupcake toppers to decorate the table and the banner and invitation to decorate the easel. 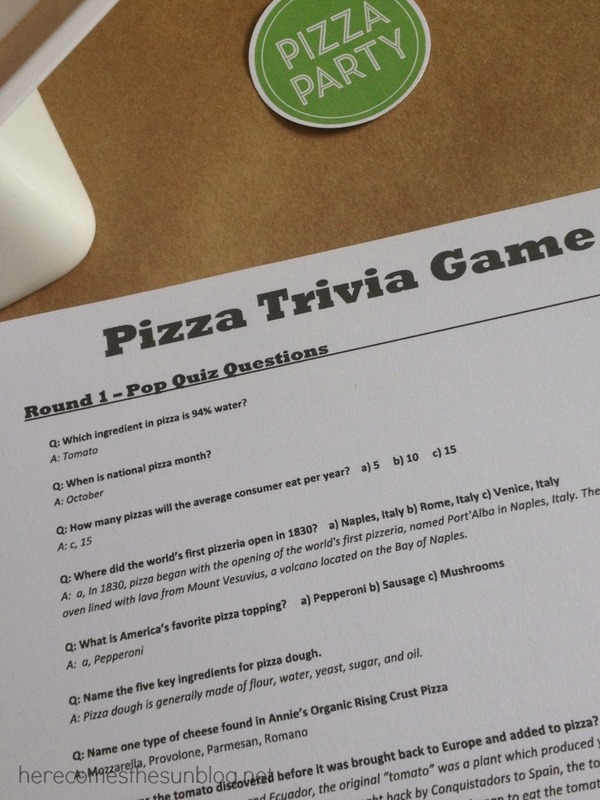 I also printed out some Pizza Trivia! You can complete the whole night by watching a pizza-themed movie. I suggested Mystic Pizza but the Mr. did not go for it. It doesn’t hurt to try though, ladies! 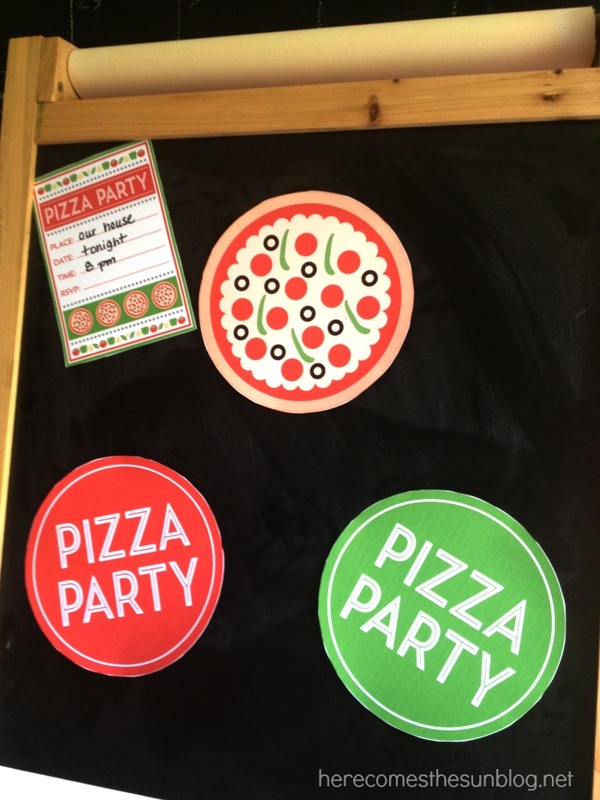 This came together so nicely and our pizza party was easy to set up after the kids were in bed. And since the DiGiorno Pizza Dipping Strips can be cooked quickly in the microwave, prepping the food took no time at all! Talk about #FoodMadeSimple! This was about as simple as you can get! The best part about the date night other than the food? No babysitters needed and pajamas were the outfit of choice! And spending time with the Mr., of course. What do you do for date nights? Do you have any favorite go-to ideas? I really like all of your party decorations! Pizza looks yummy! 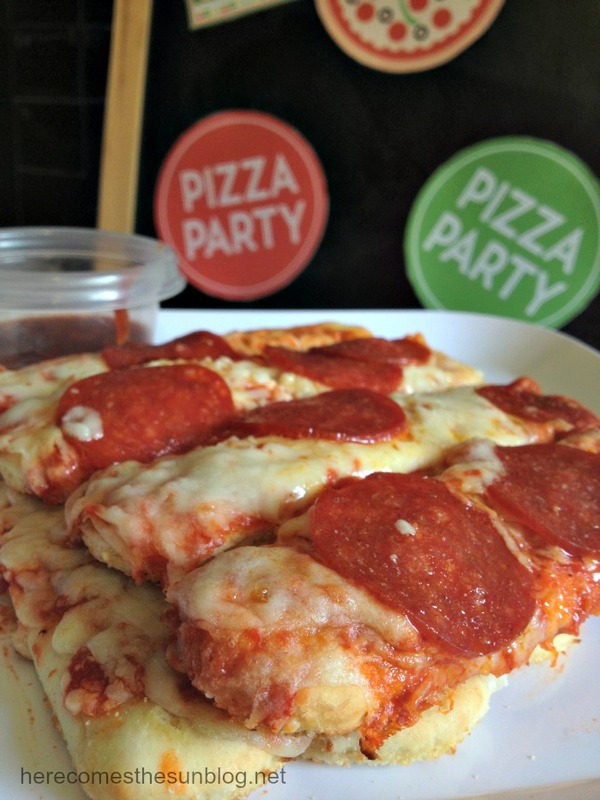 We love DiGiorno! 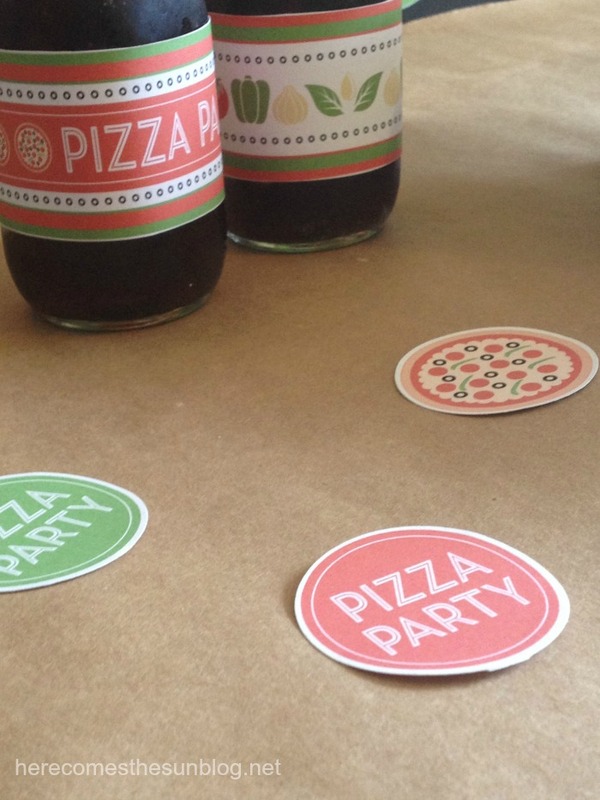 And I love the idea of a pizza party too. How fun! 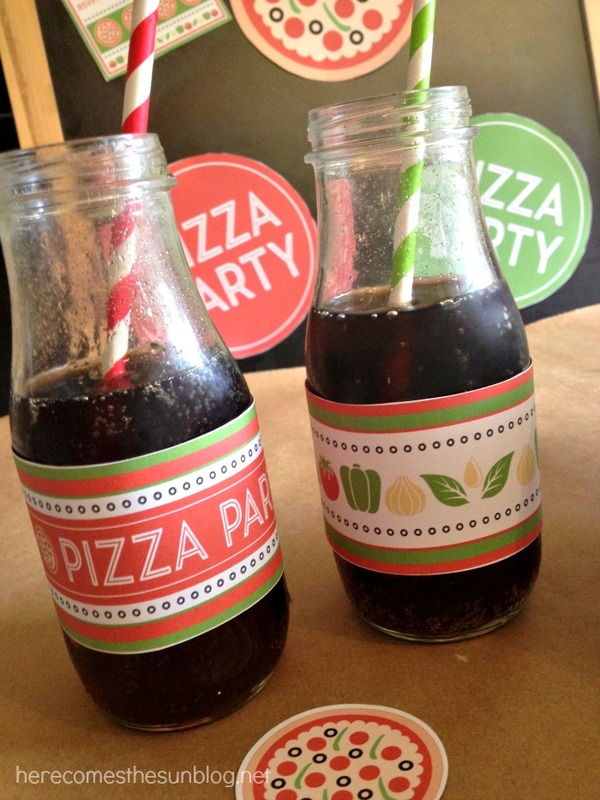 What an adorable and super fun idea!! Great idea! My husband LOVES DiGiorno!